Apparently, the NBA Store doesn't ship overseas. Or something. 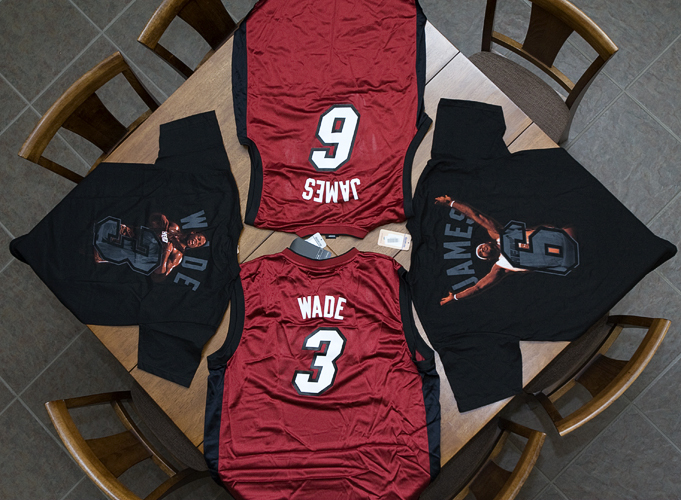 So my friend Ged ordered the LeBron, D-Wade, and Chris Bosh jerseys and had them shipped to my house. For some reason, the Bosh stuff is on back order. I've had these items for a while and I finally decided to just ship them off. But not without taking a photo first.